School founder Sherman Day Thacher. Avowing high ideals is common for any school hoping to attract students but much about Thacher is noticeably uncommon. 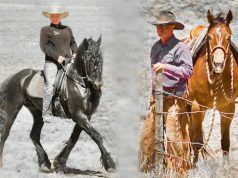 The current issue of Eclectic Horseman magazine (#81) profiles Thacher’s horse program. This Web extra provides additional information and interviews about the history of the school and its uncommon integration of equines in high school education. Student in the early 1900s. Sherman Day Thacher arrived in California’s Ojai Valley in 1887. 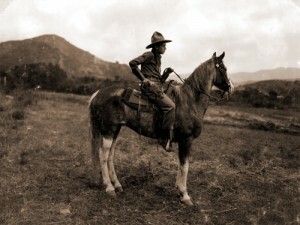 He had traveled from Connecticut with a brother ailing from tuberculosis hoping that the reputed rejuvenating qualities of the area’s climatic conditions would prove beneficial to him. Thacher was so moved by the beauty of the place that he decided to stay. Reportedly, a friend from New England asked him to tutor his son with the focus of getting the boy accepted to Yale (where Thacher had attended and his father had been a professor). Thacher agreed with the stipulation that the boy come to stay in Ojai for his studies. The arrangement went so well that soon other students were on the way west to California for his tutoring. Thus the seed for Thacher School sprouted and took root. Horse Program director Cam Schryver. “I think there’s some complexity to it,” Schryver says when asked if the horse program is what attracts students to Thacher. “I think it goes like this—in any freshman class there’s a minority that comes here because of the horses and the horse program. There’s another minority that comes here in spite of the horse program. And, there’s a vast middle ground of kids that I think you would have to call them ‘open-minded, adventuresome kids.’ They’re the type of kids that know they’re going to go up there in the High Sierras even though they’ve never done it before. They know they’re coming to a horse program where they’re going to have to learn to ride a horse and take care of a horse all year. And they know they’re going to be academically challenged—it wouldn’t be unusual for a kid that got straight As all his life to come here and get Bs. As explained in the feature story, every Thacher freshman (around 60 boys and girls (the school became coeducational in 1977) is assigned a horse to care for seven days a week for the entire school year. Additionally, freshmen must ride and work with their mounts as an afternoon activity five days a week. The school keeps about 125 head of horses to mount students and faculty; the logistics of that undertaking alone is vast. “We start out Mondays with a staff meeting,” Schryver says. 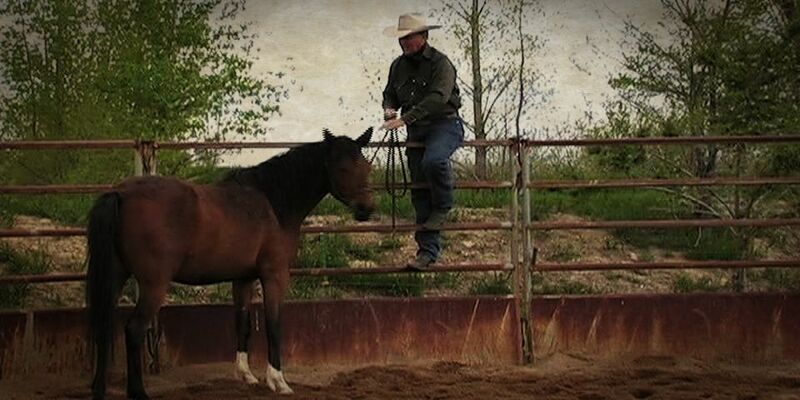 “We just go right down the line—we talk over horses, horse problems. We’ve got lame horses. We’ve got sick horses. We’ve got horse behavioral problems. And then we talk about the kids. 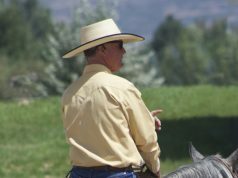 Who do we have to help—and usually that comes down to helping a horse with that kid, and maybe change instructors or putting him in a spot where he’s more suited. 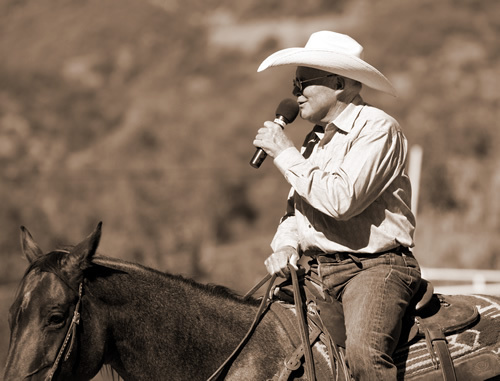 So we talk about all that stuff and then we’ll talk about, do we need to haul horses down to the pasture? And shoeing here is like painting the Golden Gate Bridge, you just start over again when you get done. And the vaccination program is huge. So, we talk over that and we talk over our camping plans and get our camp horses and pack horses and everything lined out. 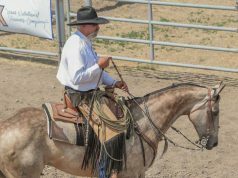 Horsemanship clinician Bryan Neubert has been making Thacher an annual stop on his clinic rounds for many years. He provides an interesting outsider perspective on the horse happenings there. “The clinic I do there every year occasionally has Thacher students in it and people that work with those kids,” Neubert says. “The last two days I was there [in fall 2012] I spent with the faculty. Cam and all those kids, they got a pile of kids horseback, so I got a little more familiar this time with it than I ever have. “I got pretty interested watching Cam get these kids ready. Some of them get into it big-time. 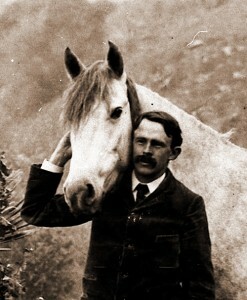 Cam, himself, his horse looks good. A good hand. I don’t know how else to say how fortunate they are to have them [Schryver and Swan]. “The group that I was working on, they were working on different body parts, getting the shoulder to working, and working on their stops and turn arounds. They were telling me they have a bunch of cattle and they help these kids learn how to sort cattle and rope if they want to. There’s a group of them that were riding English saddles and I said, ‘What’s going on over there?’ Well, they’ve got these dressage kids and jumping kids, and faculty that does that with the people that want to do that. He shows them how to pack mules and overnight camping—they go up into the mountains, and that’s all part of the deal. “I was pretty impressed. I told them I never had anything like that when I was going to high school. These kids come from all over the world to go to this deal. People from Australia and Africa, they might show up from Canada or anywhere. 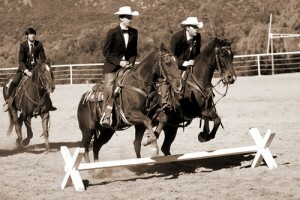 A Gymkhana is an equestrian competition made up of many speed events. The Thacher gymkhana is a huge school happening for many reasons. First, it is one of those school traditions going back more than a century. Second, it is where students really get the chance to display their acquired equine talents and the mounts themselves that they’ve put so much time and effort into. Third, is the sheer scope of the competition which comprises around 20 events with such fitting monikers as Hurry Skurry (a romp over 18” jumps), ring spearing (joisting three tiny rings while riding fast), rescue race (where a rider runs to the end of a course, another kid jumps on the back of the horse, and they both gallop back to the finish line), and so on. And then there is the granddaddy of them all, the Silver Dollar. Other events include speed ball, speed barrels, cloverleaf barrels, figure-eight stake, birangle, quadrangle, and ribbon race. “Boy, it’s a horsemanship event,” Schryver says about the gymkhana. 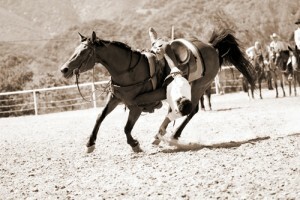 “To do [the events] fast and well is a huge horsemanship challenge. Most people will never challenge themselves in that way and all our kids do that. It’s amazing what they get done in the springtime, so that’s a big deal for us. A lot of these kids are on their great grandparent’s team—there’s three traditional teams: blue, green, and orange. They’ve been there forever. It’s intramural but it is the most intense thing at school. It’s a really big deal out here. It’s a really difficult sport. It’s easy to do it poorly; it’s really hard to do it well. Picking up the silver dollar. 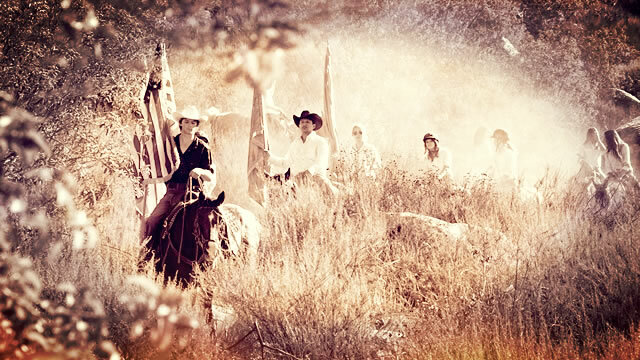 “We have always emphasized the horsemanship approach to any kind of competition, for years. That’s our mission. 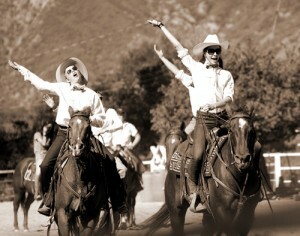 I don’t see why to be a good horseman you can’t do all this stuff and do it well. So that’s what we try to do. We try to get things set up so they can have some success and feel what we’re talking about. Human instinctual ideas are almost always incorrect and it’s tough to go against human instincts, so you have to really run things. So we try to set it up to where it’s easier to do. 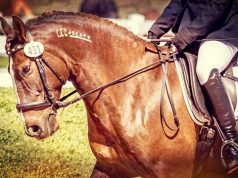 We can get our points across and get them riding good enough to where the horses are feeling good and they’re feeling good and their confidence is on the way up. Most of them are young and athletic and with instruction they do very well.